Extremely high demand continues to underpin growth in the property market, with house prices rising for the fifth consecutive month. Rightmove’s House Price Index showed the price of a property coming to the market increased by 1.2 per cent (£3,626) in May. It means the average home put up for sale in the UK now hits the market with an all-time high average asking price of £317,281. 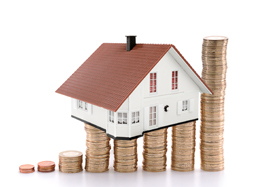 May’s 1.2 per cent increase in house prices was slightly up on the 1.1 per cent rise recorded in April. Kevin Shaw, national sales director at property specialist Leaders, says: “While the run-up to a general election is often renowned as a quiet period for the housing market, these figures suggest quite the opposite is true right now and that Brits are keener than ever to get moving. “After a brief slowdown following last year’s vote for Brexit, property in the UK has returned to incredibly strong rates of growth and high levels of activity in the last six months. “Interestingly, the figures show those with children under the age of 11 are twice as likely to be moving as others, emphasising that part of the current level of demand is made up by families searching for their dream home within a school catchment area in time for the new academic year. The total number of sales agreed by estate agents also remains strong, two per cent higher in the year to date in comparison with the same period in 2015, the last year in which there was a general election. For more information or advice on selling, letting, buying or renting a property contact your local Leaders branch.